HOW is it not working?? is it "trying" to connect but isn't? There are several reasons why it may not be connecting. If you could be more specific, we could better target the problem and help you fix this issue. simply does not work. when tested on BBVE not see a single satellite. When you turn navigation again can not see the location because there is no gps. In settings Scroll down to "Blackberry Protect." 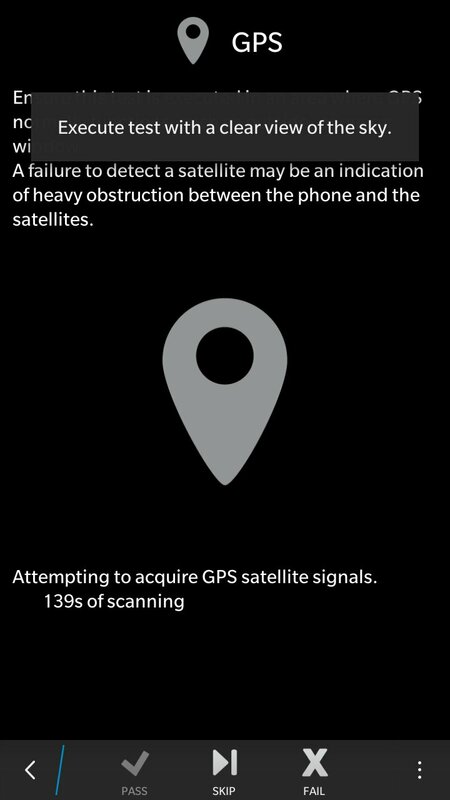 there you'll find information about your GPS issue. Also tap "Location Services" and make certain that they are turned on. I can't do it for you. I can only suggest you read the page. It'll tell you that if Blackberry Protect is ON, the anti-theft feature is also on. You won't see the GPS unless you have to "activate" the anti-theft feature. But, your GPS is on!! To better understand it.... you have to read on. GPS not working....bb protection it's on....???? Trump has been talking about taking over the airways. Perhaps he's secretly blocked GPS signals so they can see us but we can't see them. or Aliens have taken out our satellite system and they are about to invade the planet. By the way, are you attempting to acquire a signal from an underground shelter? it says: "to use the Blackberry Protect features, visit... "
Have you tapped on that web address and followed the link??? Is it possible that there has been damage to the GPS antenna ??? Tap your HELP app. then scroll down until you find "troubleshooting wizards." Hopefully that will help. Last edited by Lostboy5151; 05-12-17 at 04:22 PM. Have you tried clearing your GPS cache? Get "GPS Status" from BBerry World and do. This happened to me too. I had the same issue and realized that pressing with my fingers very tight the screen and the back cover just about at the right top corner GPS started working again. I opened the phone and as you can see in the pics there is a contact that got broken just where I pressed hard with my fingers to see GPS working again. I solved it carefully soldering tin on top of the pin minding not to exaggerate in height. Now GPS works as it should. This can happen if phone falls frequently off of hand I guess. If you don't feel comfortable with soldering, you could try putting a piece of aluminum paper (better copper) inside the pot on the plastic side of the phone circled in red in first photo, to try filling the gap causing the problem (if this is the case why your GPS is not working). Last edited by iNeoEon; 04-17-18 at 09:28 AM. Why does the headphone audio sound poor on the KEYone? Any one else with a keyone that keeps cutting out and turning itself off and on? How can I play YouTube in background like on BB10?